Microsoft OneNote for Android has a substantial update rolling out in the Play Store today that brings improved navigation to the note taking app. The update brings the same panel style navigation between notebooks, sections and pages that are in the Windows, Mac and iOS versions of the app. It makes navigating much faster and easier as well as being the same on whatever device you happen to be using. The new build for Android phones is version 16.0 for those keeping score and should be hitting devices with OneNote installed over the course of the next few days. 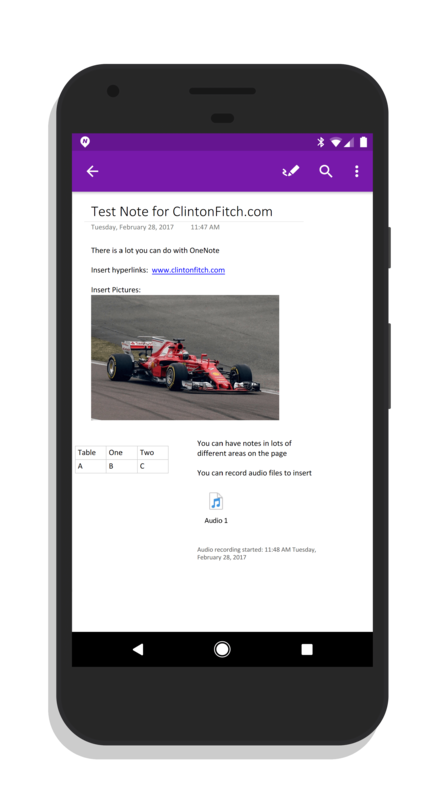 Along with the new navigation in Microsoft OneNote, this update also brings Web Clipper support to the Share panel in Android. Now you can save an image of a website or the URL to your OneNote notebook for reference later. Functionally this is nearly identical to how it works on desktop browsers with the Web Clipper extension. When you are in Chrome, tap on the Share option from the overflow menu (the three vertical dots) and select OneNote as where you want to share the web page you are viewing. You have the option to save the URL to your notebook or you can save as an image and you will have an image of the page saved to your notebook. As you would expect, there are also a number of bug fixes and overall performance improvements in this update to OneNote so that alone make getting this update on your Android devices worth it. Microsoft OneNote is a free download and is free to use. The only requirement is that you have a Microsoft account (Hotmail, Outlook.com or Office 365) to sign into the app so your notes can be stored.